I bet this phrase is on the tip of every parents’ mouth when their child informed them about their dream to pursue a career in the entertainment industry. Kids and youths still have this mindset that the entertainment industry is all about glamour and that is why they want to be part of it. The new drama on MediaCorp Channel 8, The Dream Makers, gives a sneak peak of what the television industry is all about. In conjunction with celebrating 50 years of the television, I feel that this drama is a good medium to inform viewers about the television industry. 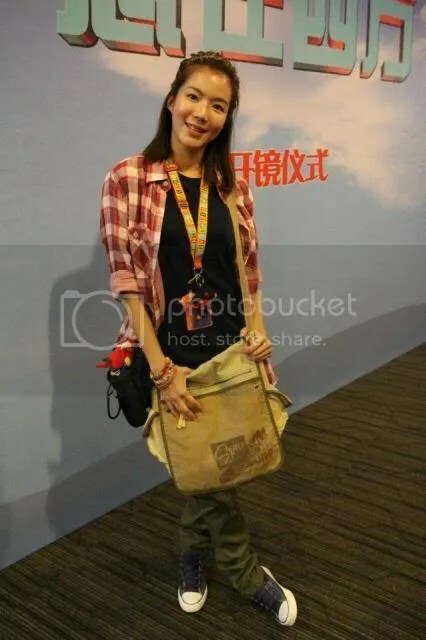 In my opinion, Rui En stands out in this show because she is portraying a character that is bubbly and easy going unlike the other characters where she plays a cop. She is always given a role that requires her to be serious and cold. Some may argue that her character in this show looks fake and it does not suit her, but I feel that people are so used to her looking all serious and fierce that they forget the other side of her. Do you remember the comedy drama, Achar, that was televised on Channel 5? I hope that she would go back to acting in English dramas and given characters which portrays the other side of Rui En. I am sure some of you will agree with me on this. The Dream Makers makes you think and question about the realness of the actress and actors. Are these people wearing a mask or is it their true self? My sentiments exactly! Viewers indeed do get to see a different side of Rui En as she is known to be the Ice Princess of MediaCorp. Hope that with this breakthrough role of, Fang Tonglin, in The Dream Makers, would open more doors for her in terms of role castings for her future dramas.